In a Variety article this morning I read that Robert Downey Jr., who in my view is the principle star of the Avengers, is the only one of the core cast whose contract with Disney does not reach the inevitable Avengers 2. His four picture deal with Disney runs out with Iron Man 3 while his Avengers co-stars Samuel L. Jackson, Chris Hemsworth, Chris Evans, Scarlett Johansson and Jeremy Renner have all signed deals that have them under contract for Avengers 2 and beyond. Samuel L. Jackson has actually signed a nine picture deal with Disney (that’s good because it means he’ll be popping into the next round of Iron Man, Captain America, Thor and hopefully the upcoming Ant Man). So Robert Downey Jr. is quite possibly the most wanted man in the world right now. He is in a very powerful position and can pretty well negotiate his terms. But what if he says no? What if he says, I’ve had it with this stuff! I’m out! I want to act on Broadway! Could someone else play Iron Man? It’s my opinion only but I think Robert Downey Jr. is the least replaceable of all the actors tied to a superhero/comic character (save perhaps Arnold as Conan). There have been umpteen Batmans, Spidey is on to his second actor, Hulk his 3rd (and I thought he was the best so far) so changing actors that play the superheroes is nothing new and it can be done successfully. 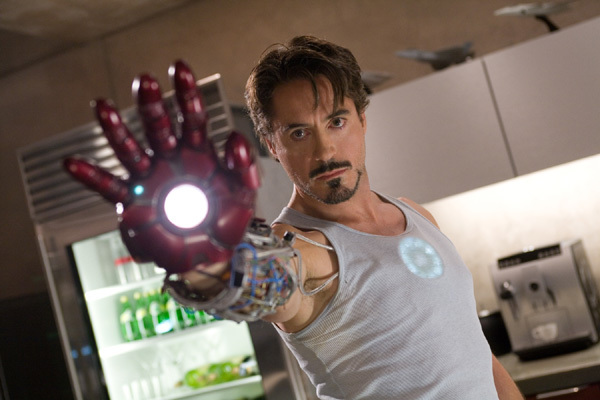 Can Avengers 2 have success with a new actor as Iron Man? Who could be the next Iron Man if Robert Downey Jr. says no? If you consider jut the Iron Man movie franchise alone, Jim Rhodes has been played by two actors already. I don’t think you can replace Robert Downey Jr. It is his charisma that made Iron Man a success, which lead to The Avengers (and all other applicable movies). Without him the franchise will continue, but it won’t be the same. The Marvel Cinematic Universe wouldn’t be the same without him. And with The Avengers making a bunch of money so far, they should pay RDJr. whatever he wants to stay with the franchise. I think the difference is that RDJ is Tony Stark. I can’t see anyone else playing him without just basically ripping off RDJ. RDJ on the other hand basically created his character from scratch. If you read the early Iron Man stuff, Stark is kind of boring. RDJ uses his own personal backstory and his personal baggage to give us a pretty awesome character. totally not replaceable. He is Tony Stark and Tony Stark is him. The attitude is all him. The attitude, the addictive personality. He is Iron Man, and fans see him as such. To replace him would cause a big backlash in the fan community. I don’t think they would recast him. I do however think, that they would create a terrible story line about him being off in another country fighting some war that keeps him preoccupied and out of the way. That would be terrible! They’d probably use stock footage of RDJ as Stark in newsreels and such! I think he IS great as Stark but, as you’ve often said, Walt — and as is true of these characters as they’ve been around so long — “the character is bigger than the actor”. The fictional character has survived numerous writers and artists and it has to… because we’ll still want content in 20 years. So, why can’t they survive different actors? why are we so protective over how things are right now? is it ignorant to assume that there’s no other actor in the whole world whom could do a good job with this? you almost want to have different versions just so you can have a favourite. You are right Danny, lets look no further than James Bond. To many Sean Connery is Bond but the franchise is not only living on without him, it is thriving. Cripes I know a few guys who think Roger Moore was the best of them!! Ridiculous! We all know the best James Bond was George Lazenby. Balderdash. The real Bond was Connery, I’ll take Daniel Craig or even Timothy Dalton though… Roger Moore was far too soft and comedic. Tarantino tried to buy the rights to Bond just before the latest movies, that could’ve been amazing. Since this is now a Hijacked thread, here’s my 2¢. George Lazenby may not have been the best James Bond, but unlike the other early Bond’s (Daniel Craig excluded) he played the role like a real spy thriller. On Her Majesty’s Secret Service was on of the first Bond movies to not use gadgets and toys to accomplish the mission. OHMSS also had a complex plot involving world destruction, and greater depth into the character of Blofeld, which was amazingly played by Telly Savalas. It was also the movie that James Bond got married. As much as I love Sean Connery and the other Bond’s, I don’t think any of them could have played the final scene, where Teresa is killed, as well as George Lazenby. Plus George Lazenby has the best line out of any James Bond movie. The very first line he speaks is “I wonder if this ever happened to the other guy.” Greastest James Bond line ever. OHMSS is closer to what is happening with Casino Royale and Quantum, than the other Bond movies. It is the best, and it was the first to be something different than a James Bond movie. And if anybody says that Woody Allen was the best James Bond… we’s gonna have problems!!! Woody Allen wasn’t James Bond, he was just in the James Bond movie…..and Pierce Brosnan is hot. He played Jimmy Bond, but every body in that movie (Casino Royale) was James Bond.